Having been on the road for over 10 weeks now finding cheap accommodation has become even more important to make sure our funds last all the way to Ireland. Kazakhstan however, with it’s high accommodation and food prices hasn’t really been helping us out and the Lonely Planet section for Aktau had very limited information, but thanks to some travelers we met in Uzbekistan we were given the name of a place that wouldn’t break the bank, especially as we didn’t know how long we would be waiting for the ferry from Aktau to Baku. 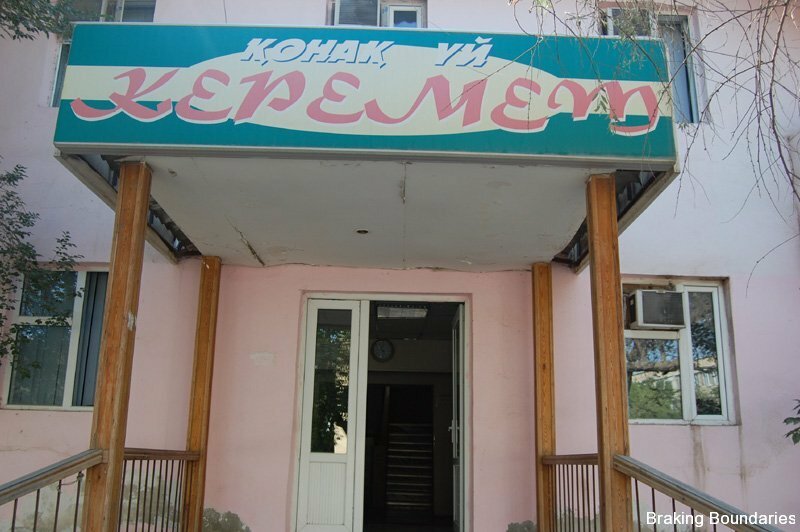 We ended up staying in the youth hostel type hotel called “Keremet.” It’s prices were well below the other hotels in Aktau and it is clean. 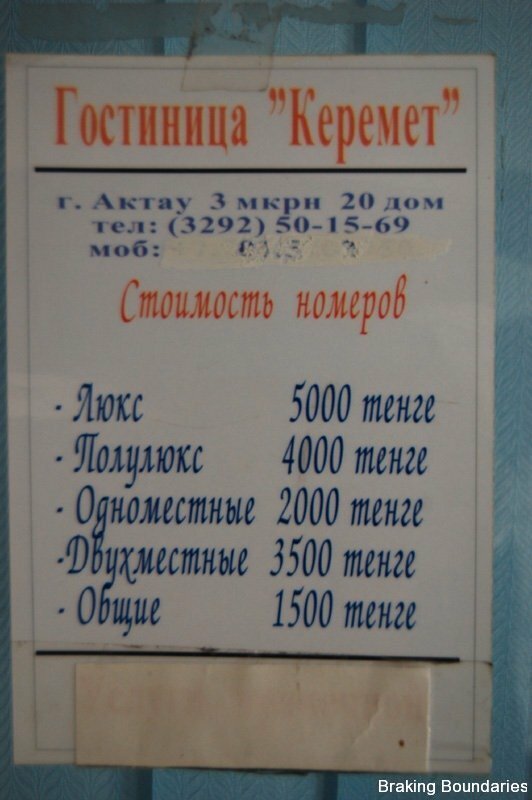 Single rooms start at 1500 Tenge. 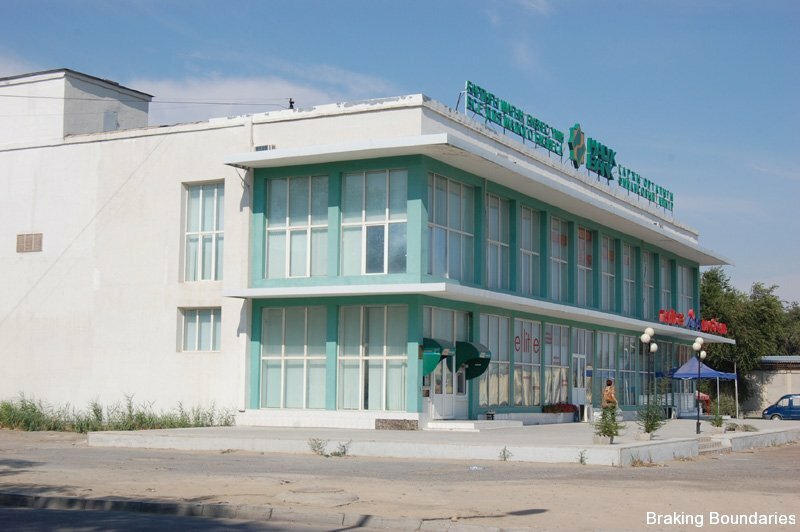 Areas in Aktau are broken down into districts and then building numbers. From the Ship Monument at the start of the town, head down the hill away from the city. Follow the road to through two sets of traffic lights (the first set is at the bottom of the hill). At the second set of lights you will see a white and green building with a HAYLK Bank sign on the top. Turn right on this street and go about 200 meters. 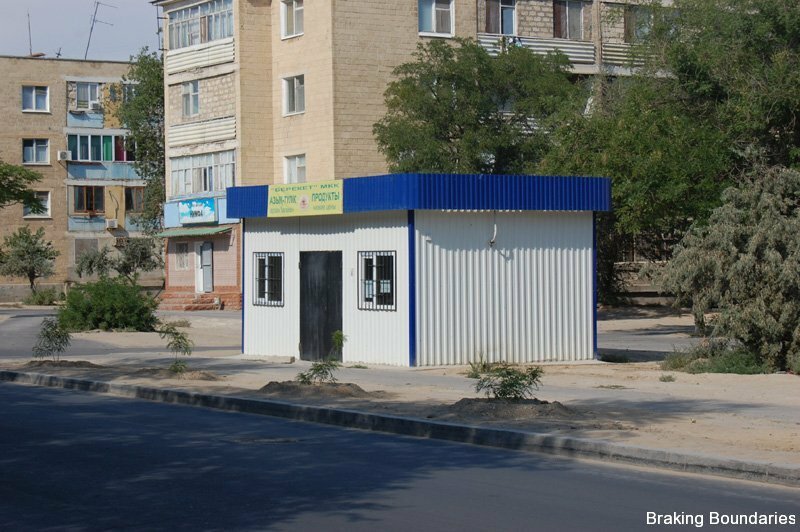 On the righthand side of the road is a small white bulding with a blue roof. Keremet is opposite this.